The National Council of Social Service (NCSS) will have a new chief from November, people familiar with the matter told The Straits Times. Ministry of Communications and Information (MCI) Deputy Secretary Sim Gim Guan will assume the post on Nov 1, they added. Mr Sim, who is in his late 40s, will replace social service veteran Ang Bee Lian. 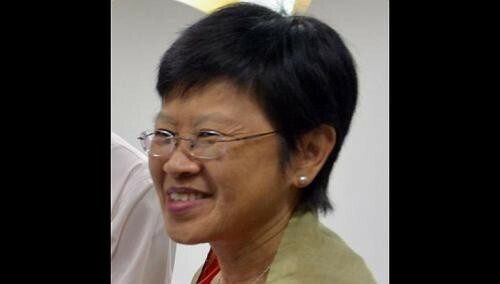 Ms Ang, 58, will still be involved in social services. She will return to the Ministry of Social and Family Development, where she began her career as a child protection officer more than 35 years ago, as its new director ofsocial welfare. In her new appointment, she will oversee the protection of vulnerable persons, such as the destitute and those who have been abused. Ms Ang, who has headed NCSS since 2007, has been credited with boosting the professionalism and image of workers in the sector and improving the coordination of social services. Yesterday, social service practitioners said they were glad to have Ms Ang continue championing social issues in her new role. "She has brought a lot of expertise and knowledge to the sector and I believe she will do even more in future," said Mr Pal Abhimanyau, executive director of the Society for the Physically Disabled. Industry players also said they look forward to working with Mr Sim. "I hope he will have the same open-door policy as Ms Ang, who is always available for consultation whenever we need advice or resources," said Mr Vincent Ng, executive director of AMK Family Service Centres. As its deputy secretary, Mr Sim has been overseeing MCI's work in the infocomm, media and design sectors. He is an overseas scholar from the Government's elite administrative service. He has oversight over the Infocomm Development Authority, Media Development Authority, DesignSingapore Council and the National Library Board. Before that, the former Chief of Staff of Naval Staff spent 23 years with the Navy. Both Ms Ang and Mr Sim could not be reached for comment but an announcement on their postings is expected soon. When asked if the council might benefit more from having someone with a background in social services helming it instead, MP Seah Kian Peng said it is "useful but not a must". "Having knowledge and involvement in the sector will be a plus," said Mr Seah, who heads the Government Parliamentary Committee for Social and Family Development. "But as long as one takes the time to understand the needs of the sector and put your heart and mind to it, similar objectives can also be attained."